1. Get pre-qualified! Speak to a mortgage advisor to find out how much you can comfortably afford based on your current financial situation (downpayment you saved, debt you have, income and tenure of your current job, and your credit rating are the top determining factors). You’ll find out 2 things: 1, the maximum purchase price you qualify for in theory. 2, How much you actually should spend on a condo based on how much you are able to comfortably set aside towards your home expenses on a monthly basis. Don’t forget, you have property taxes, condo fees, and utilities to pay on top of the monthly mortgage. Try not to switch jobs or take on major financial commitments during your purchase process. 2. Make a “dream-list”. Write down your “must haves” and “nice to haves”. Where is the ideal location based on your every day life (you can even plot on a map regular places you visit (work, friends, extracurricular activities). This will help you figure out boundaries. Do you need a parking space? Do you need a locker for extra storage? What activities do you do at home? Are amenities like gym or pool important for your lifestyle? The more amenities a building has, the higher the condo fees in general. If you don’t use any of those, a simple building with less frills may be a better choice. Are you a “light” person? Depending on which way a unit is facing, it will get sunlight at different times of the day. If you love to wake up with the sun, and East facing unit may be ideal. If you love light all day, you’d hit the jackpot with a South-West Corner unit. Do you care about views? Some people couldn’t care less, others love to gaze out of their windows and get inspired by city-lights. One thing for sure: if you your first condo is only a 3-5 year plan, make sure you hunt for a unit with desirable features. A unit with a more unique layout and perhaps a bigger balcony will have less competition when you are ready to sell. 3. Start researching! While there is a lot of information online, hiring a knowledgeable Realtor to guide you through the process is truly priceless (bonus: in most cases the seller pays the commission not you). 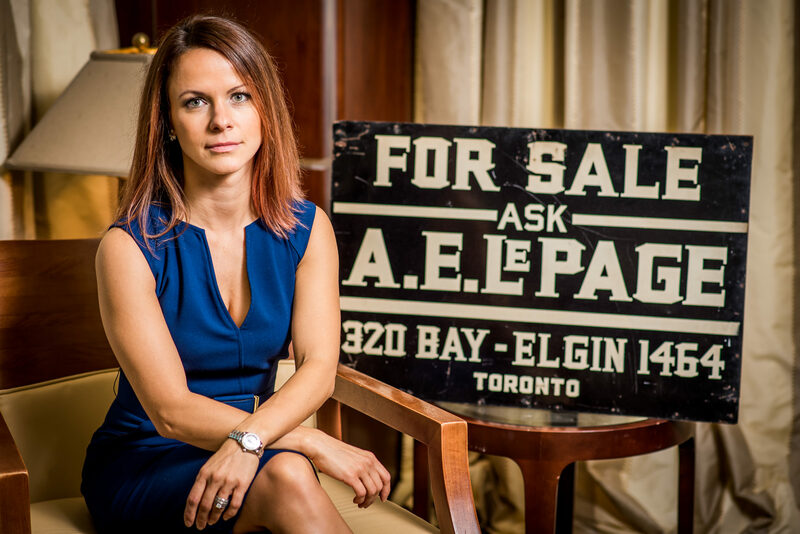 The Realtor can help you identify areas of interest, and existing condo buildings within the boundaries. They will advise you on the quality of the buildings, which is a key decision making factor. You want a building that’s well managed (clean, healthy reserve fund for future repairs, reasonable condo fees), and more occupied more heavily by owners rather than renters. 4. Get out there & be on the ball! If you aligned yourself with a go-getter Realtor, they will intently search the market for you for suitable units. The condo market is experiencing higher than ever demands. Sometimes you literally need to see a unit that comes on the market the same day, otherwise you may lose out. If you’re still searching on your own, be cognizant that the public sites don’t display the most up-to-date information. In a busy market, you may miss out on units because they never make it beyond Realtors’ internal databases. This is also the time you’ll learn how much space you’re comfortable living in, and re-prioritize your “must have and nice to have” list. 5. Make an offer and watch your dream come true! Your trusted Realtor will guide you through the paperwork and negotiation process all the way until the day of closing. They will also help you with all the necessary steps until the day of closing. Make sure your deposit is ready to go. 1.Pre-qualify! Figuring out what you can afford is still the first step, however, you will likely have to have a larger deposit ready depending on the builder’s requirement. 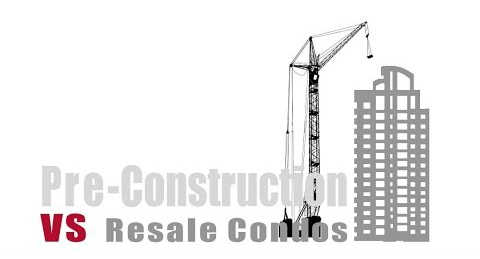 As a rule of thumb, with resale, you may be able to buy with as little as 5% down, whereas pre-construction condos require 20-25% downpayment paid in installments usually over a 12-18 month period. 2. Timeline! This is huge. Some condos aren’t going to be ready for another 3-4 years! Can you really wait that long to get your own space? Figure out when would be the ideal timeframe and look for developments that match your requirements. If you want to move within 12 months, you may want to look at buildings already under construction that have unsold units (but be careful! Sometimes they are unsold because they are less desirable). Sometimes you can even pick up some good incentives from the builder like free maintenance for a year, free locker, only 5% deposit etc. 3. Occupancy vs. Closing – what is that about? There are 2 key dates with pre-construction condos. The first one is your occupancy. This is the date you actually get your keys, but you aren’t quite a home-owner yet. That’s right. As the builder finishes the building floor by floor (going upward), purchasers get to move into their units. However, everyone has to wait until the building is substantially completed so it can actually be registered with the city. You will close on your unit within a few weeks from when registration takes place. But what happens during this occupancy period? You have to pay occupancy fees, that don’t go towards your mortgage at all. Think of it as rent but it really goes towards estimated condos fees, taxes, and the builders’ construction financing. No, you cannot opt out unfortunately. 4. Get educated! Find a realtor who really really really knows the pre-construction business. 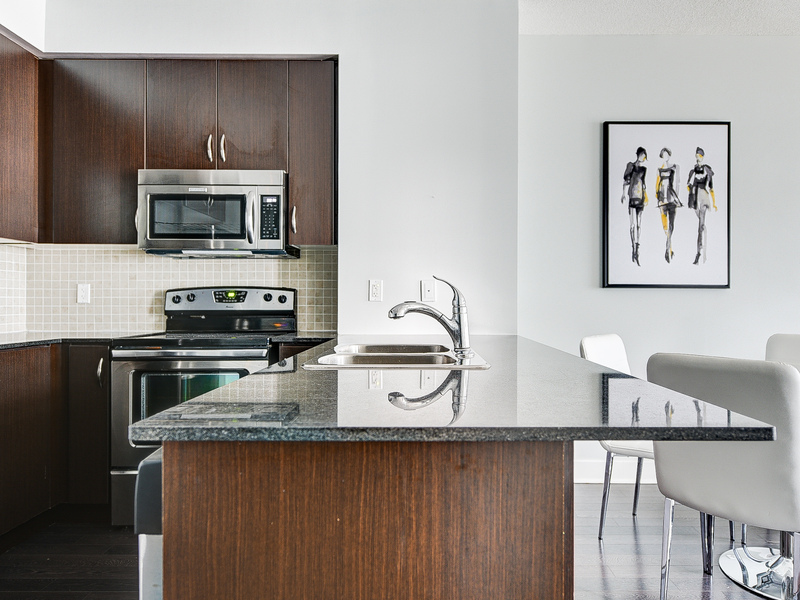 Think of access to new condo launches as a dart board. Within the bulls’ eye are the developer’s friends and family. They get first pick on the best units (layout and views are key) at the lowest prices. The second circle is the “true vip agents” the developer gives first access to. Work with a Realtor/Brokerage that has built very close relationships with developers. In the third round (if it’s not sold out yet), all other brokers get access. Finally the project gets released to the public. Your realtor should guide you through the whole process not just take you to the sales office and secure the deal. There are so many important steps until and even beyond your closing date. You need to be pro-actively armed with knowledge as the surprises (that usually translate to money out of your pocket) are more frequent and bigger than buying resale. Just to name a few examples: are you buying the unit as an investment or as your principal residence? If it’s an investment, the tax rules are very different. Do you fully understand all your closing costs? There will be a lot more than buying resale (developer levies, HST rebate, tax adjustments etc). 5. Sign & learn! You’ll be very excited to go to the sales office to finally sign your very own contract. You will also find an incredibly cumbersome document you will not fully understand. Good news: you will have a 10 day cool-off period to walk away from the deal if you are not comfortable for any reason. This is the time to team up with a Real Estate lawyer that has great experience in dealing with pre-construction. You’ll learn more than you ever thought you would. Bad news: developers spend a lot of time and money on their Purchase Agreements, so in general they tend not to change the terms. – The condo market is hotter than ever! If you don’t have a knowledgeable agent on your side, you will miss the best opportunities point blank, both resale and pre-construction. – These floorplans make no sense! If you’re buying pre-construction, go visit some existing units in buildings to get a sense of spaces and sizes. For example some new floorplans (especially downtown Toronto) have a 9ft width for the living area, which will just feel really narrow, kind of like a shoe-box. A minimum of 11 feet will feel a bit more comfortable. – Not every developer is the same. Some are more reputable with better quality buildings and even nicer common areas etc. As you do your research, you’ll start noticing trends. – Who is the architect? With pre-construction, some buildings have better floorplans than others. That is largely due to the architect’s creativity and sensible design. – What level of access can I get to the project? (does my realtor know the developer personally or did they build a close relationship with the builder’s sales team) Just how “VIP” is my “VIP” access? – Can I assign? If you are buying a unit as an investment, you may actually want to flip it before it closes. Be very clear in understanding when you can do that, and if the builder will charge you a certain amount. They have to approve every single assignment. – What are upgrades and when do I pay for them? There will be a selection of standard finishes when time comes to pick the type of flooring/cabinets/countertops etc for your unit you would like. – What are development levies and why do I have to pay for them? The developer is charged levies by the City in order to be able to build the project (school levies, tree levies, infrastructure levies). This is passed down to the purchasers as a closing cost. The levies can become quite high per unit, so the developer caps them in the contract to make sure you are not charged the actual cost of the levies (sometimes it can reach 30-40k per unit). Otherwise buyers would likely not agree to the contract. – What are connection charges and why do I have to pay for them? Exact same scenario as development levies, except these are the charges by the City to connect to its services (electricity, gas etc). These are the individual devices that measure gas/electricity consumption. Majority of condos only measure electricity separately, the rest of the utilities are part of the condo fees. – What is Tarion and why do I need it? Tarion is a non-profit organization mandated by the Ontario Government to assist with Warranty claims against builders. If they can’t help resolve an issue between builder and purchaser, they step in to fix it up to 7 years for major structural issues, and up to 2 years for builder deficiencies reported by the purchaser. They also protect a small portion of deposit in the rare instance a developer is unable to complete the project. Very importantly, builders have to stick to an official schedule governed by Tarion. These critical dates are listed in Tarion’s Statement of Critical Dates and should be a part of your Agreement of Purchase and sale. Enrolment is mandatory and the builder passes the cost down to the purchaser. – What is a reserve fund? This is the “savings account” of the condominium corporation governing the affairs of the condo building. Each month a portion of condo fees are put into this trust account for future repairs and unexpected costs. – What is the difference between occupancy, registration, and final closing dates? Occupancy: The date you actually get your keys and go through the unit to note all deficiencies to be fixed. From this date you can occupy the unit. You’ll be paying a monthly occupancy fee until the unit is transferred to your name. This can be an advantageous period from an investment perspective. Registration: The building is officially registered with the City. The developer completed all inspections and met all city requirements. It could take a long time between occupancy and registration. Sometimes up to a year or two. Final closing: Your actual closing date. You’ll need to arrange closing costs, financing for this day through your lawyer. The unit is officially transferred to your name in land registry. This happens within 30-60 days from registration. – How is the price of my unit calculated? Does it include sales tax? Your unit price includes the sales tax, as well as a sales tax rebate you would be receiving from the government. 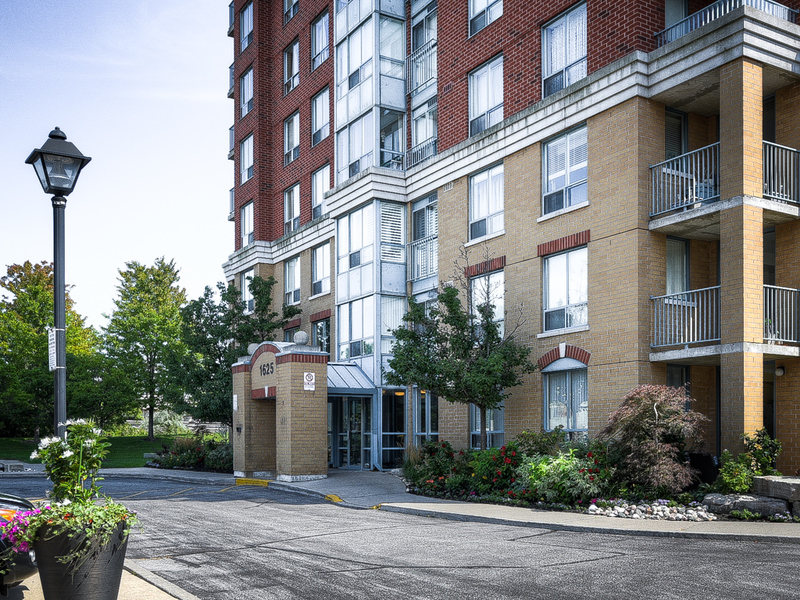 If you are renting your unit out as an investor, you will have to pay the HST rebate on closing, and claim it back directly from the government. This rebate is up to 24K and it takes 8-14 weeks to get it back once you’ve paid it on closing. It takes 8-14 weeks to get it back once you’ve paid it on closing. Please refer to your tax accountant for all related matters. The subject of HST rebate is complicated, and it should be handled by an appropriate professional. – What is a Status Certificate? It is a complex document describing the Condo Corporation’s details. It shows financials, budgets, any lawsuits or liens against the condo corp. The first version of this will be delivered upon closing. Please note that as much as we strive to provide accurate information, government rules and regulations can change from time to time. Please refer to the appropriate expert for taxation, law, and accounting advice. Royal LePage Your Community Realty, Brokerage Inc.